Tree removal leaves a stump in the ground which may be unwanted. If we have removed the tree, we will have discussed stump removal or ‘stump grinding’ as it is known. This process involves the removal of the stump using specialised machinery. This allows the area to be re-turfed or re-planted. Our machine is of a width that will fit through gates and doors to access rear gardens if necessary and it is big and powerful enough to grind out any size stump. Our team are well experienced in stump removal and are fully qualified and insured, so you can have peace of mind that your job will be completed safely and professionally. 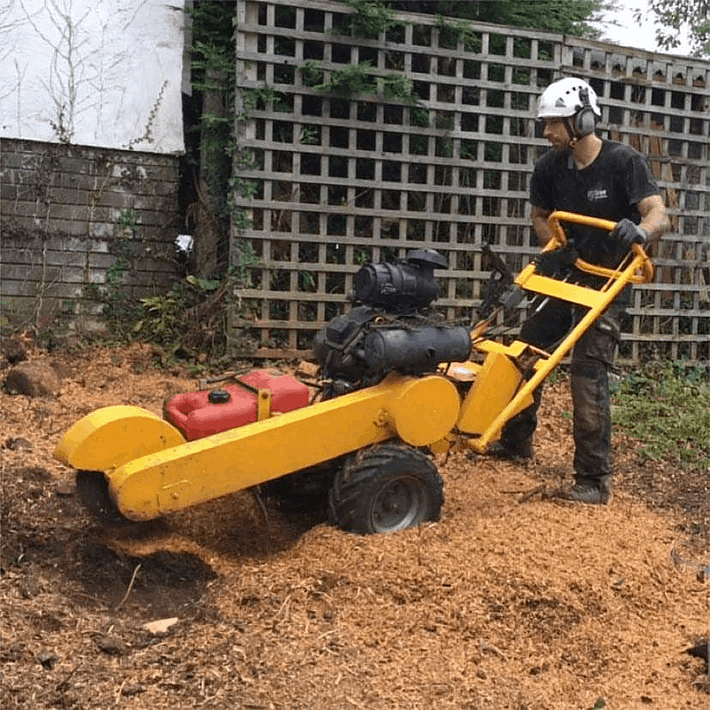 We carry out stump grinding in Cardiff and the surrounding areas.